Universal Pictures has revealed all of the juicy details for the upcoming home video release of Jurassic World: Fallen Kingdom. 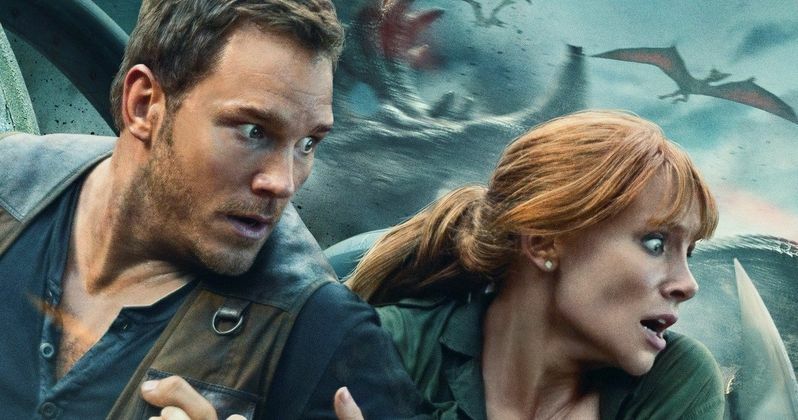 The sequel to 2015's monster hit Jurassic World was easily one of the biggest movies of the summer. Critics and fans seemed to be a bit mixed on the final product, but nonetheless, it was a huge hit and it's making its way to your preferred digital or physical format of choice this September. Jurassic World 2 will first arrive on digital platforms starting on September 8. This includes digital retailers such as Vudu, iTunes or Movies Anywhere. The movie then makes its way to 4K Ultra HD, Blu-ray, DVD and on-demand platforms on September 18. The Blu-ray, digital and 4K releases will include a few additional bonus features, such as The Kingdom Evolves, in which, the filmmakers discuss how the second chapter in the Jurassic World trilogy pushes the franchise in a new direction. Return to Hawaii, which sees the cast and crew discuss shooting the film in Hawaii. Island Action, which is a behind-the-scenes look at the bunker scene and runaway gyrosphere sequence. Aboard the Arcadia, where the cast and crew discuss working with the animatronic dinosaurs and Start the Bidding!, which offers a behind-the-scenes look at the auction scene. Here is the full list of bonus features that will be included with the home video release. On Set with Chris & Bryce: Go behind the scenes with Chris Pratt and Bryce Dallas Howard. Birth of the Indoraptor: An inside look at the genetically designed monstrosity known as the Indoraptor. Death by Dino: Go behind the scenes as the Indoraptor faces off with a key character. Monster in a Mansion: Director J.A. Bayona discusses how Jurassic Park and Dracula (1979) influenced his approach to directing the monster in a mansion scene. Rooftop Showdown: A look at the terrifying showdown on the rooftop of the Lockwood Mansion. Malcolm's Return: Behind the scenes with the one & only Jeff Goldblum. VFX Evolved: The team at ILM discuss their cutting-edge approach to creating dinosaurs. Fallen Kingdom: The Conversation: Filmmakers and cast sit down for a candid and casual conversation about Jurassic World: Fallen Kingdom. A Song for the Kingdom: Justice Smith sings for the cast and crew of Jurassic World: Fallen Kingdom. Jurassic Then and Now Presented by Barbasol: Key moments from the Jurassic saga that tie into Jurassic World: Fallen Kingdom. Best Buy will have an exclusive steelbook edition, which features Blue on the cover. Target's copy will come with an exclusive 28-page gallery Book, plus 30 minutes of bonus content. Walmart also has an exclusive gift set which includes a set of Funko Pocket POP! Keychains with Owen and Blue. That's a packed list of bonus features, plus a wide variety of purchase options, which should help make those who enjoyed the movie enough to own it quite happy. You can check out the various releases and pre-order your copy over at JurassicWorld.com. Universal Pictures has also released a trailer for the home video release, which you can check out for yourself below.